Every woman has a little black dress. And almost all of us have a classic pair of black shoes that look good with everything. But what about black when it comes to your kitchen? 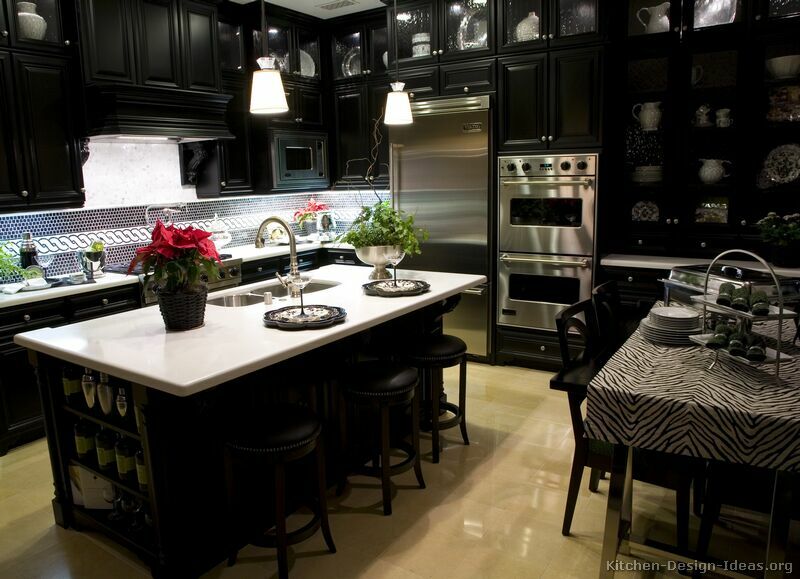 Kitchen-Design-Ideas.org says "Nothing spells "classy" like the color black! Traditional black cabinets show a high level of sophistication, and are often found in high-end kitchens and multi-million-dollar homes." If the rest of your home decor doesn't support black cabinetry, or it's too much for your taste, think about using ebony black cabinets as accents in your kitchen like these two kitchens by AK Renovations.